Nintendo is stepping up its crusade against pirated games by bringing the anti-piracy measures it introduced to the Nintendo Switch to the Nintendo 3DS line of handheld consoles. Infamous Nintendo hacker and homebrewer SciresM shared the unfortunate – fortunate? It depends on who you ask – news via Twitter. The Nintendo 3DS software update 11.8.0 was originally thought to be a simple system stability update, introducing nothing noteworthy to the interface beyond small improvements – but not according to SciresM, who's an authority on homebrewing Nintendo consoles. The update enables the console to send possibly encrypted app tickets to Nintendo’s servers whenever a game is connected to the internet. If said game app came from a source other than the Nintendo eShop or an official cartridge, then Nintendo reserves the right to ban those consoles – and attached Nintendo Accounts – from online play. It’s a shame for Nintendo that this change comes so late into the 3DS's lifespan, as the console has become one of the most widely hacked and homebrewed gaming devices in recent history. 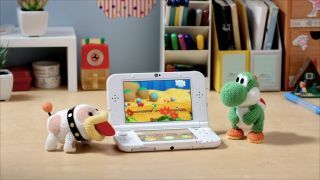 The move also suggests that Nintendo isn’t quite finished trying to make money with the 3DS – otherwise, we suspect it would be less likely to spend development resources on such protections. For instance, Nintendo has a far more laid-back stance when it comes to homebrewing – and ultimately piracy – on its NES Classic Mini and SNES Classic Mini retro consoles; the company even includes fun little notes to hackers within the underlying code, welcoming them into the systems. Of course, the difference here is that Nintendo still stands to make money on software sales for 3DS consoles, whereas it doesn't on the classic consoles. Pirates, you have been warned.